First Release Date: Sept 22, 2018. True to style, this “wee heavy” ale is dominated by malts and pours caramel in color. This beer is high gravity, weighing in at 8.5% ABV. To produce a 7 bbl batch of this beer requires approximately double the grain bill that our typical batches of beer use. The grain profile of this beer is complex and includes malted and unmalted barley. Although the name may imply that this tastes like Scotch Whiskey or uses Scotch in some way, the name “Scotch Ale” is only a reference to the geographical origin of the beer style, which comes from Edinburgh, Scotland. Scotch Ales are stylistically similar to English Strong Ales and Barley Wines. To name this beer, we dug in to the rich history of an iconic local landmark, Logan Pass in Glacier National Park. William Logan was born in 1832 to Scotch-Irish parents in the Parish of Ardee, County Louth, Ireland. The Logan family lineage is traced back to a Scotsman named Logan who married the granddaughter of a Scottish king. Logan immigrated to America and soon after entered military service with the 7th U.S. Infantry. Logan achieved a storied military career, which included serving in the Sioux/Cheyenne War of 1876, which brought him to the Montana Territory. In the summer of 1877 the 7th and 2nd Cavalry units from Fort Missoula were dispatched to pursue a large band of Nez Perce including their renowned leaders Chief Joseph, Chief White Bird, and Chief Looking Glass. The Nez Perce were engaged at an encampment near present-day Wisdom, MT in what was called The Battle of the Big Hole. Captain William Logan was killed in this battle. During his life, Captain Logan married a woman named Odelia Furlong. After his death, Odelia moved to the vicinity of Helena, MT and raised cattle. One of William and Odelia’s sons, Sidney, grew up to become the first county attorney of Flathead County, and in 1902 was elected Mayor of Kalispell. Largely due to Sidney Logan’s efforts, a system of parks and boulevards was established in the area. He was also instrumental in securing the Carnegie Library for the city. The eldest of William and Odelia’s sons, Will, held a post as a Indian Agent for the Blackfoot Indian Reservation, and was known to have heavily explored the region of what is now Glacier National Park. Will and Sidney were instrumental to the creation of the park. In 1910, Will R. Logan was named the first Superintendent of Glacier National Park. Logan Pass is named in Will’s honor. The Logan family left a lasting impressions on the Flathead Valley and Montana. 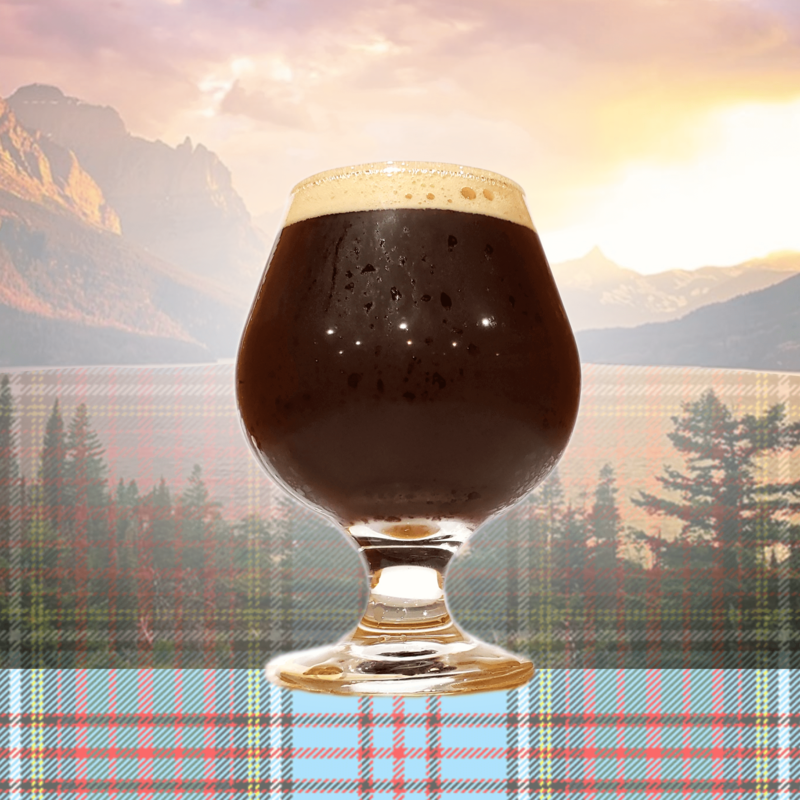 This new beer is a Scotch Ale in honor of the original Scottish heritage of the Logan name, and we call this beer “Logan’s Lass” as a tribute to the widow Odelia, who followed William across the rugged Montana frontier, became a Helena cattle baroness, and raised the two sons who are credited with forming Glacier National Park. Cheers to Odelia: Logan’s Lass!